Tonight was sort of frustrating – it was my “tired night” instead of Wednesday, due to tomorrow being Christmas Eve and some Wednesday things got shifted to today. 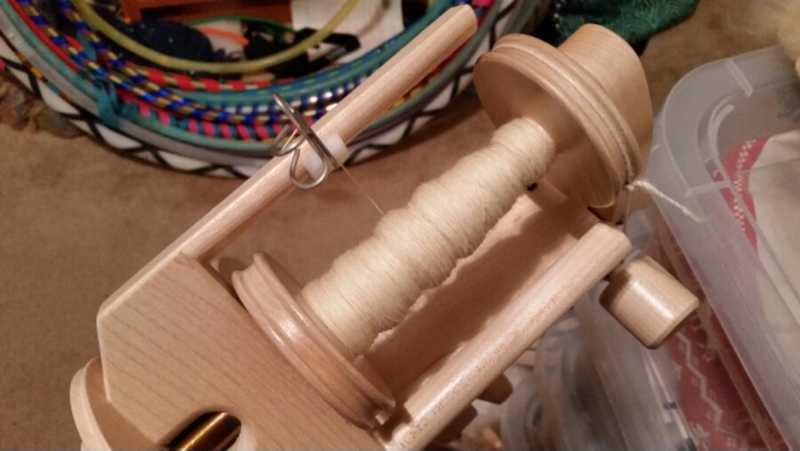 BUT I got my spinning practice in. I’ll be glad wen I’ve finished this wool – I’m ready to move on to something new. Knitting a swatch with this wool has been instructive. I see that the “crispness” that I feel in the plied wool translates to “no drape” in the knitted piece of fabric. So I’m thinking now that a scarf is not a good choice for it. I’ll have to think about what would be good … maybe a hat? Or maybe I’ll save my knitting time for a different wool.